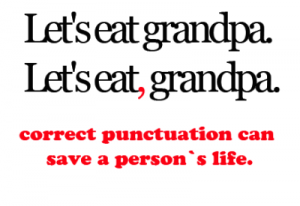 There are fourteen punctuation marks in English grammar. They are the full stop, comma, colon, semicolon, dash, hyphen, apostrophe, question mark, exclamation point, quotation marks, brackets, parenthesis, braces, and ellipses. How many of them do you use in your sales copy and how many might you add the emphasise the point you are trying to make? Let me know what you have discovered?